Postmodern Times received a Christianity Today Book Award as one of the top 25 religious books of 1994. 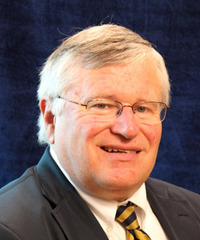 He was named Concordia's Adult Learning Teacher of the Year in 1993 and received the Faculty Laureate Award as outstanding faculty member in 1994. He was a Salvatori Fellow with the Heritage Foundat Gene Edward Veith Jr., is the Culture Editor of WORLD MAGAZINE. He was formerly Professor of English at Concordia University Wisconsin, where he has also served as Dean of the School of Arts & Sciences. He is the author of numerous books, including Postmodern Times: A Christian Guide to Contemporary Thought and Culture, The Spirituality of the Cross: The Way of the First Evangelicals, and God at Work: Your Christian Vocation in All of Life. We’d love your help. Let us know what’s wrong with this preview of Where Christ is Present by John Warwick Montgomery. We’d love your help. Let us know what’s wrong with this preview of A Case for Character by Joel D. Biermann. We’d love your help. Let us know what’s wrong with this preview of Handling the Word of Truth by John T. Pless. We’d love your help. Let us know what’s wrong with this preview of Lutheran Book of Prayer by Scot A. Kinnaman. We’d love your help. Let us know what’s wrong with this preview of The Fire and the Staff by Klemet I. Preus. Quotes by Gene Edward Veith Jr.